CHICAGO, August 28, 2018 – The International Association of Women (IAW) recognizes Shaquan Hoke as a 2018-2019 Influencer. She is acknowledged as a leader in entrepreneurship. The International Association of Women (IAW) is a global in-person and online networking platform with nearly one million members, 1000+ in person and virtual events, over 100 Local US-based Chapters and International Chapters in several cities in China. My focus is on the quality of service provided, not the quantity of clients served. Founder and CEO of Beyond A J.O.B. Inc.
Ms. Hoke has more than ten years of experience working in the field of human resources. She uses her expertise and the skills she has honed in business development, recruitment, sales and job readiness to help other women reach their career goals. “My focus is on the quality of service provided, not the quantity of clients served,” said Ms. Hoke. By providing guidance and advice, access to resources and an array services such as in-person and online workshops, career coaching, resume evaluation, job application assistance and more, Ms. Hoke works tirelessly to help each one of her clients find career success. An Image Consultant, she is also an Author, Inspirational Speaker and Training Facilitator. Ms. Hoke completed her first book, “Beyond A Job: Seven Steps to Create & Move Into Your Vision,” and is currently working on her second book. To help individuals stay organized, she has created “A Planner for Job and Opportunity Seekers.” For more information about her books and other projects she is working on, visit her website. Ms. Hoke has facilitated workshops and training seminars at many organizations, including Dress for Success World Wide, Bronx Community College and Easter Seals NY. She has appeared on a number of television and radio programs and has been featured and published in numerous magazines, including the 2018 March 30 issue of KISH Magazine, where she was recognized as one of “30 Most Powerful Women,” and she was the first woman to be featured in The Boss Magazine. 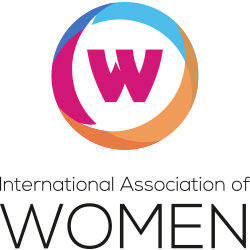 The International Association of Women (IAW) is a global in-person and online professional networking platform that provides nearly one million women with the forum, professional development and services needed to thrive in an interconnected world. Through 100+ local chapters, International Chapters in several cities in China, and 1000+ in person and virtual events, members cultivate valuable connections, develop professionally, and promote themselves and their businesses. Founded in Chicago in 2017, IAW is a division of Professional Diversity Network, Inc., an online network tailored to provide diverse professionals in the United States with access to employment opportunities. Next articleCalifornia State University, Sacramento is Eliminating Near Misses at a Dangerous Cross Walk and Enhancing Pedestrian and Bicycle Safety.